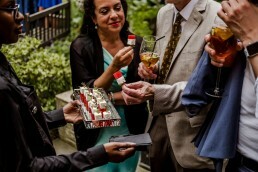 Thursday 28th June at the Museum of the Order of St John saw us showcasing canapés and cocktails, bowl foods and, to finish the evening, a dessert bar – not just any dessert bar – a dessert bar to eclipse all others! 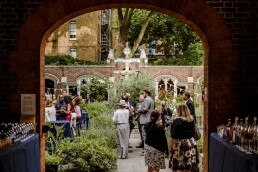 Quite possibly the hottest day of the year and once again we were invited to work with the Museum on their Summer showcase. 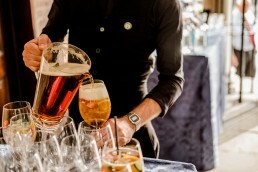 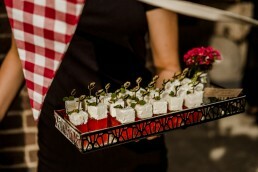 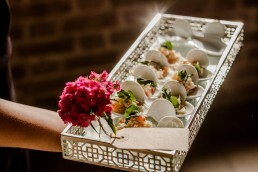 The brief was for the food and drinks to be divinely elegant, historic, alluring, exquisite, unforgettable! 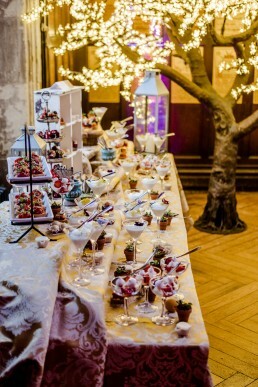 I have been assured that we exceeded the brief! 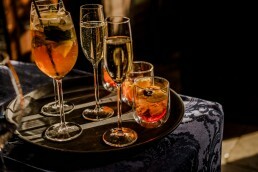 To start the afternoon we had Myatts Field Cocktails on hand. 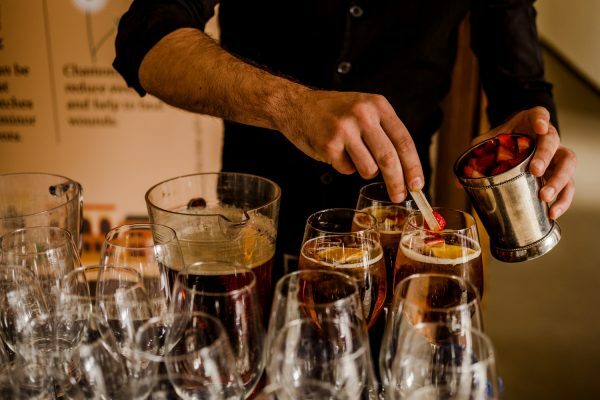 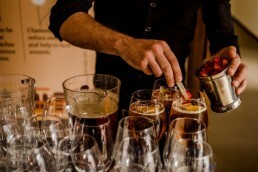 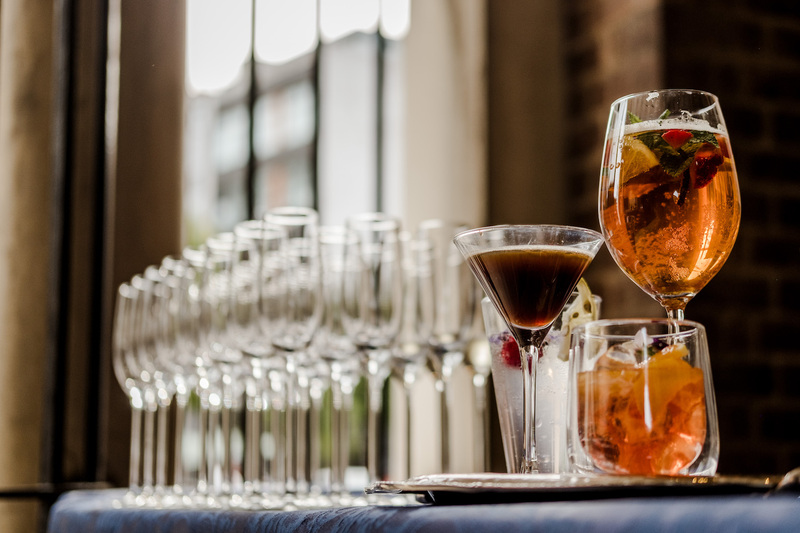 We served their wonderful Negronis, alongside the Espresso Martinis, which no event in 2018 would be complete without! 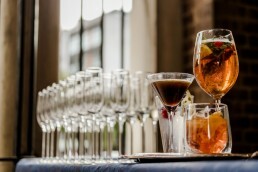 Our wonderful Jess was on hand to shake, rattle and pour this on-trend cocktail for guests. 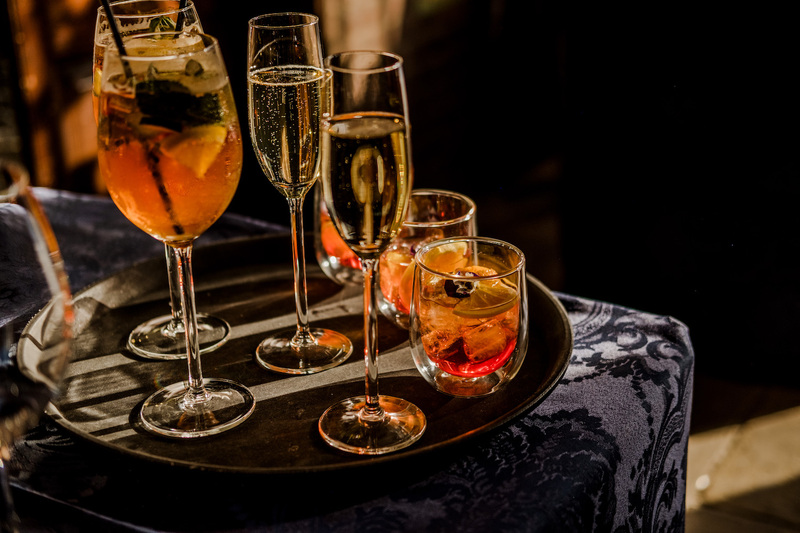 For those who were a little less adventurous we had an excellent Cava, Pimms and grown-up soft drinks were from Luscombe Farm in Devon. These were accompanied by Cornish Crab Salads on the cutest little white china spoons and, with the sun out, we just had to offer Gazpacho – especially as our head chef is Spanish! 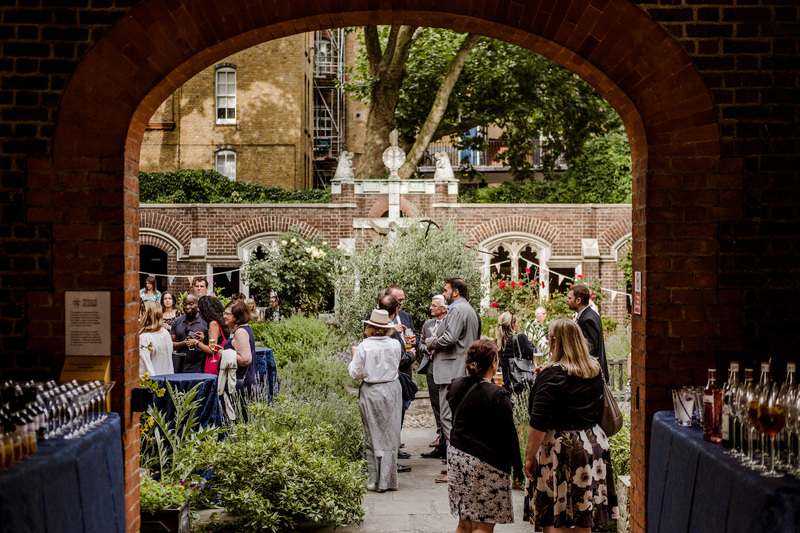 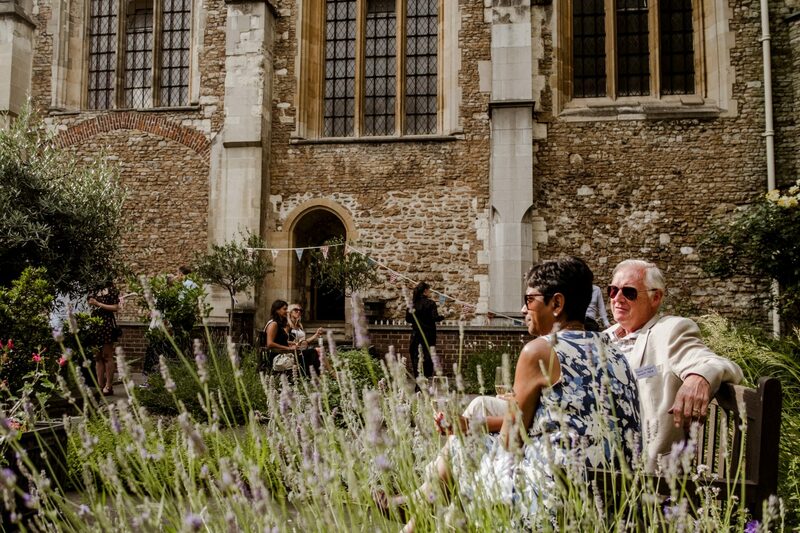 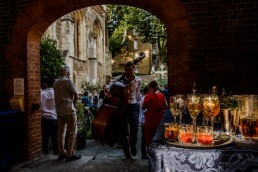 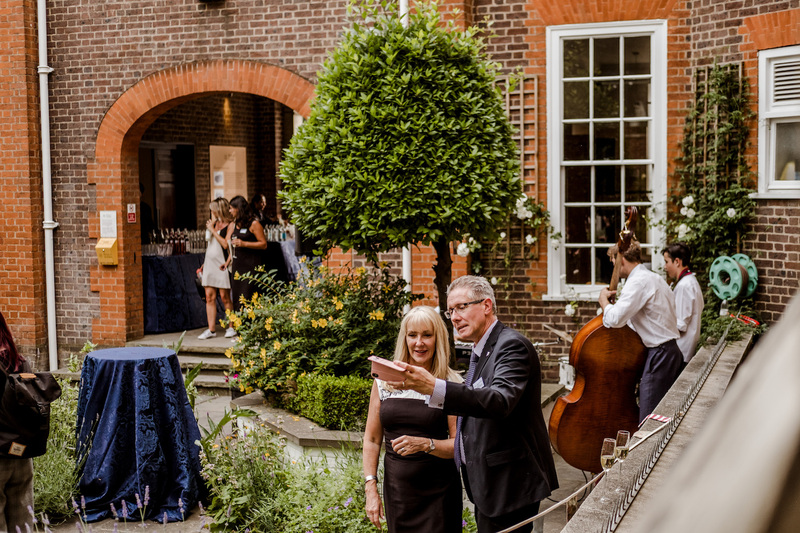 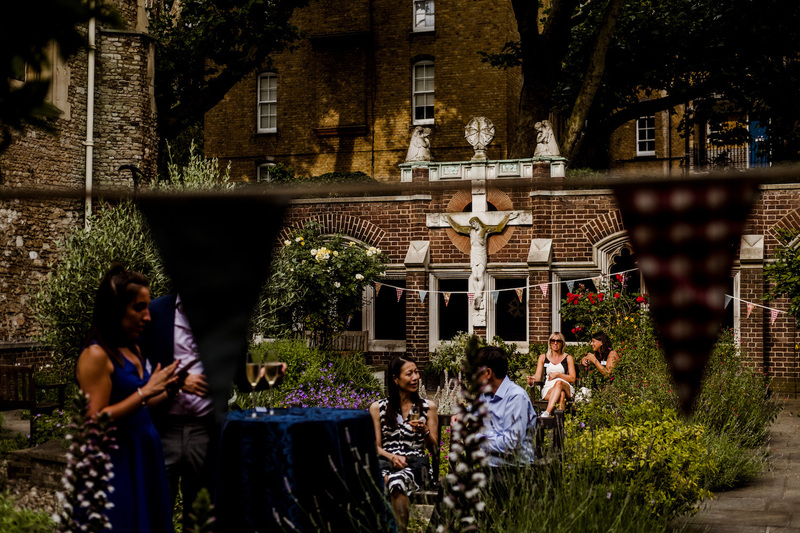 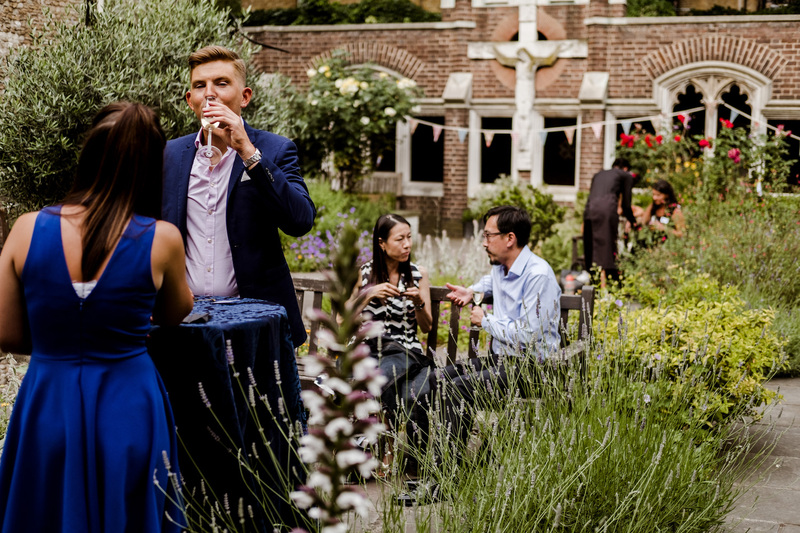 Guests meandered slowly from the abundantly blooming and gloriously sunny garden, via the Link Gallery overlooked by its superb Caravaggio, to the Chapter Hall and the laid-back Summer sounds of Keaton and the Emanuel Quartet. 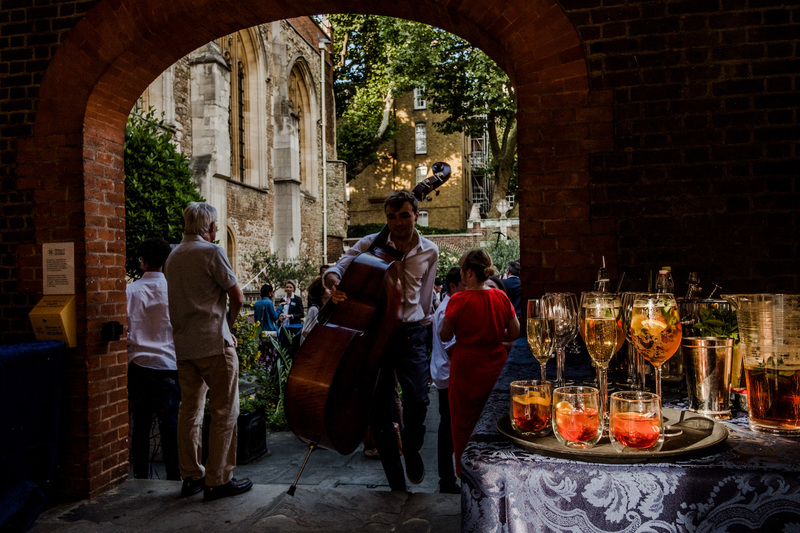 A baby grand piano and vases of sizzling-hot coloured flowers transformed the room from its customary neo-Gothic stateliness into the coolest club in Clerkenwell! 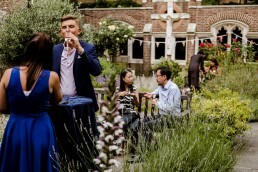 Deliciously chilled rose wine and delectable bowl food including a Summer Vegetable Risotto stimulated vibrant conversation. 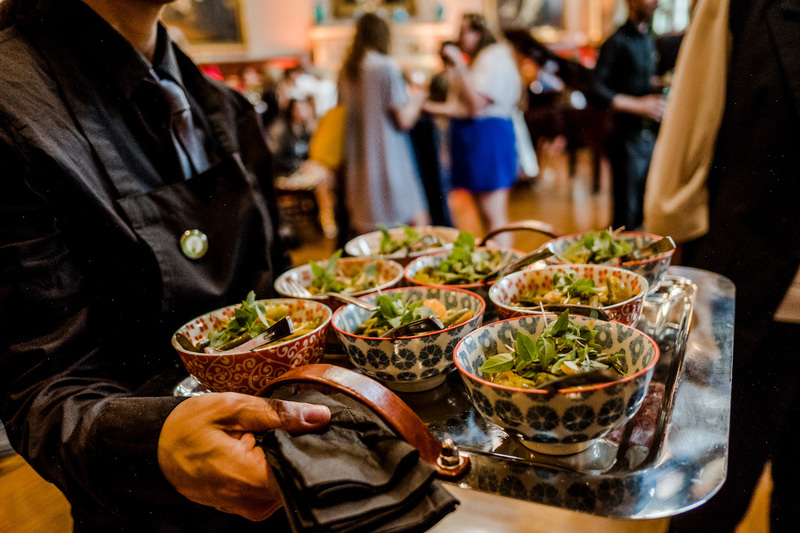 Bowl food and Canapés work beautifully as a flexible option to a seated dinner in Chapter Hall when your guest numbers climb above 100. 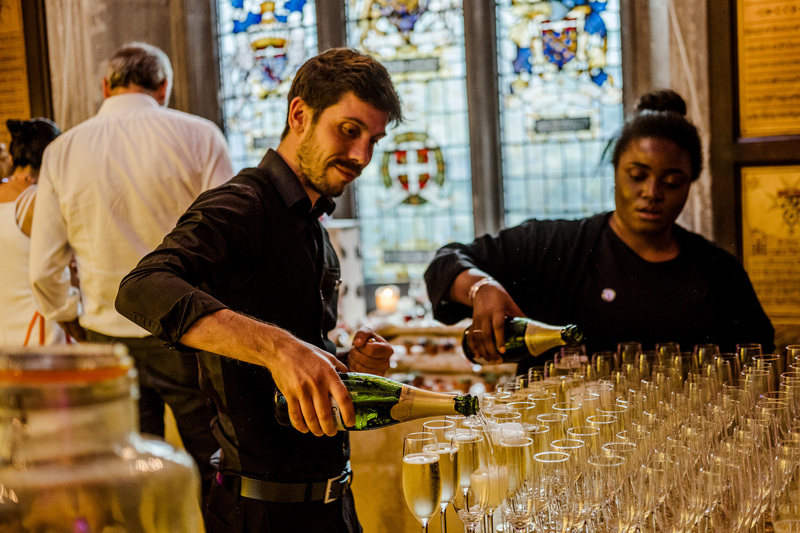 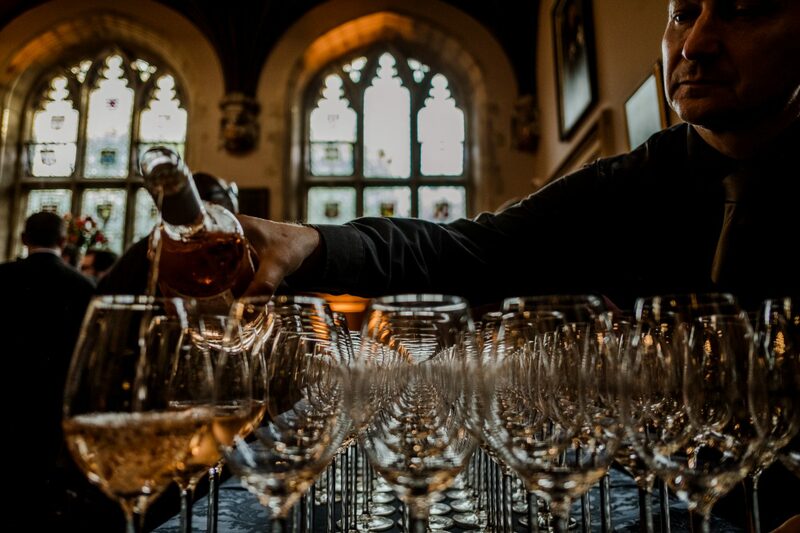 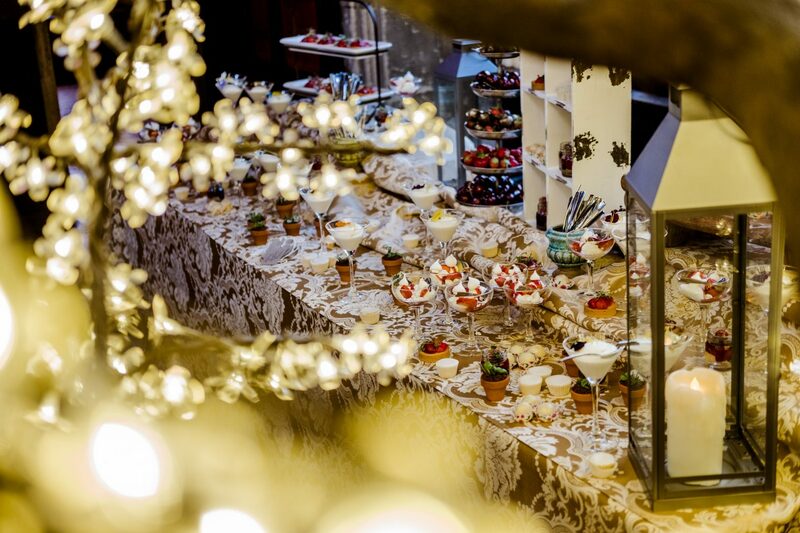 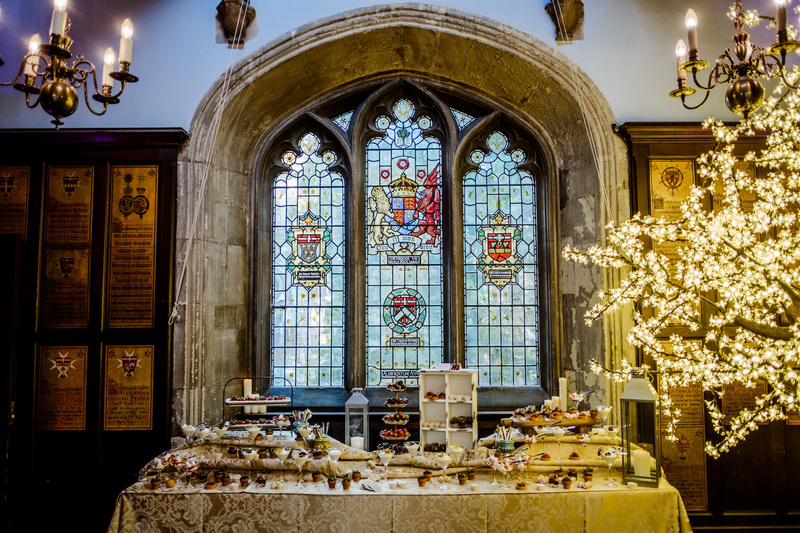 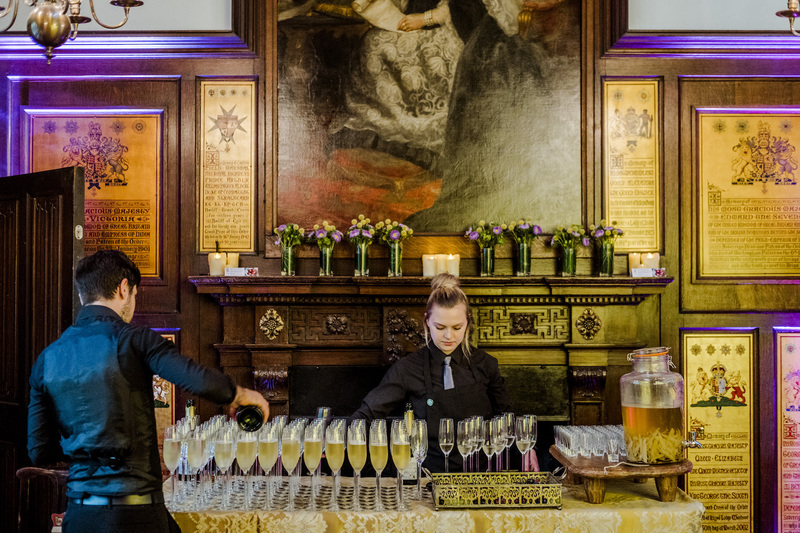 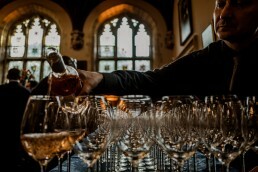 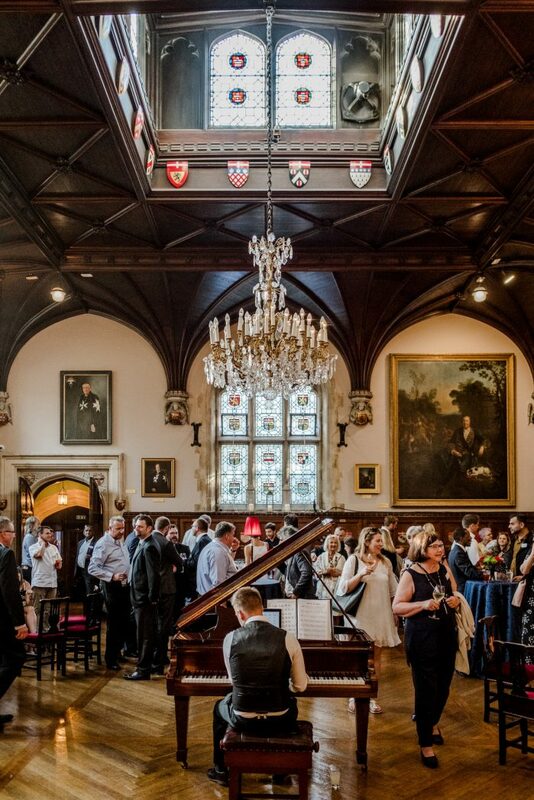 From Chapter Hall guests were led through the Old Chancery into the sixteenth century Council Chamber for the wow factor Dessert Bar along with home-made Limoncello – who could possibly resist?!. The Council Chamber is a superb venue for intimate dinners for up to 24 guests, so it was just beautiful to see the space in a very different light – quite literally! 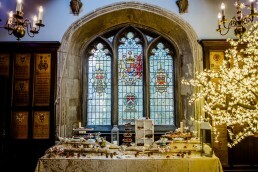 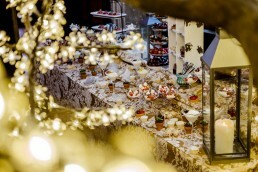 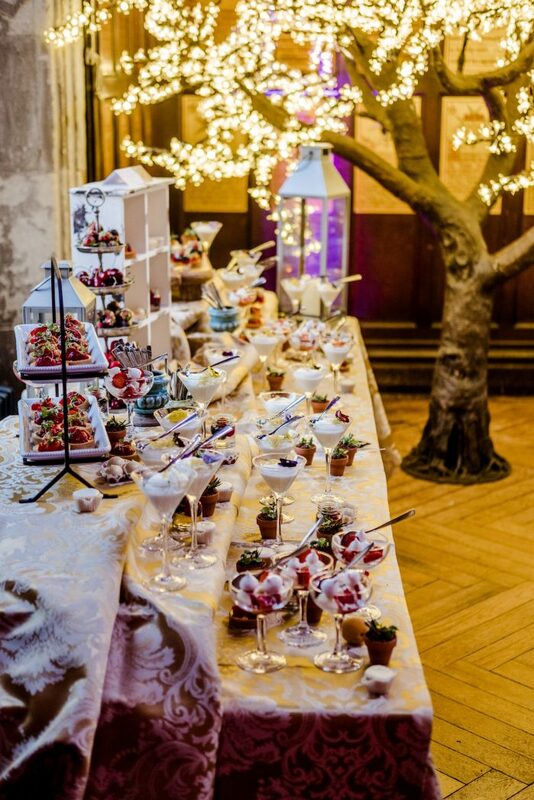 The sunlight streamed through the exquisite stained-glass windows onto the Dessert Bar, which was laden with pick-up treats and delights from the lightest Lemon Syllabub to perfectly tempered chocolate-dipped English Strawberries. 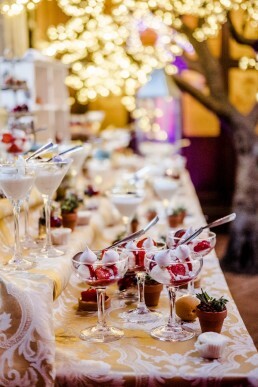 Other delights included Eton Mess… but my OCD having taken over it might have been more like Eton Tidy by the time it was served! 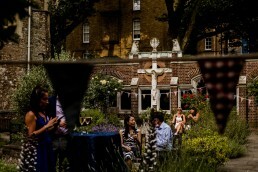 Guests thanked us for the most enjoyable afternoon and evening and enquiries have already come in to check availability. 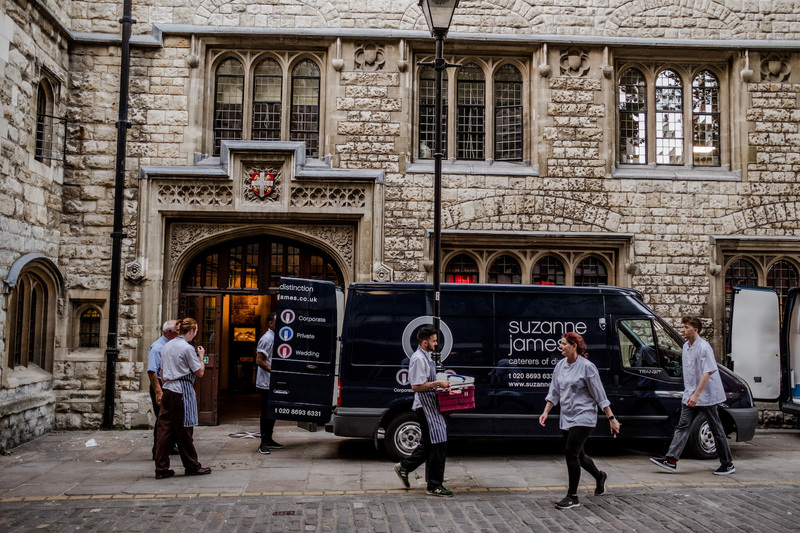 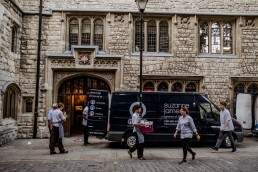 If you are looking for quite possibly the most stunning and versatile space in Central London that has the capacity to accommodate a small intimate dinner through to a conference, then without question, The Museum of the Order of St John should be high on your venue search list.